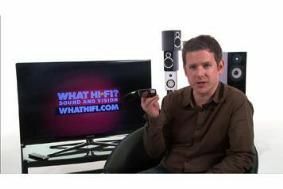 EXCLUSIVE NEWS PREVIEW: Samsung UE46C7000 3D TV | What Hi-Fi? 3D TV is the talk of the town right now, with all the major TV manufacturers lining up to release 3D models in the coming months. We've managed to get our hands on the very first model from Samsung, the UE46C7000, an active shutter design that some of you might have seen on our stand at the Bristol Sound & Vision Show. If you didn't make it to Bristol, we've put together a video preview for you to watch to give you a taste of what 3D TV will offer. What's more, we've got an exclusive First Test of the 40in version of this Samsung, the UE40C7000, in the April issue of What Hi-Fi? Sound and Vision, on sale March 10th. Don't miss it!